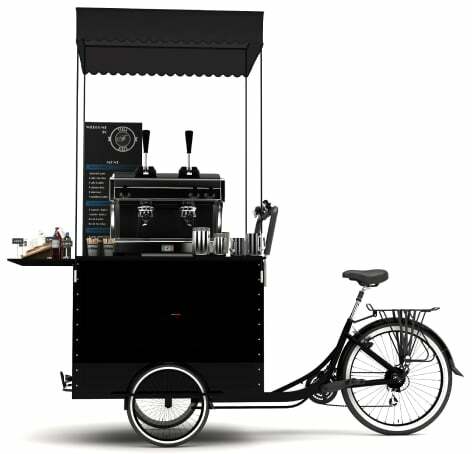 The Most Affordable and Versatile Coffee Bike in the World. 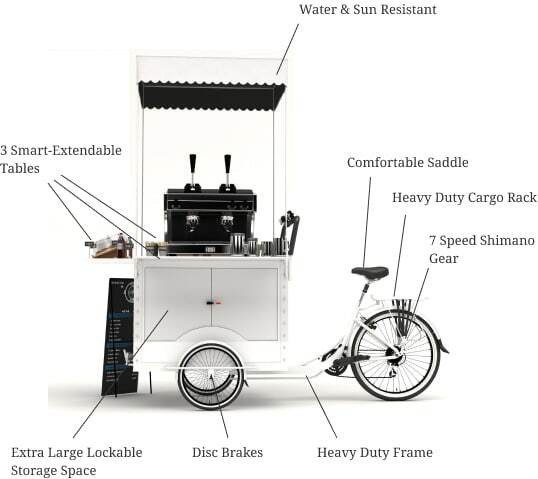 Ferla Mini is Ferla’s most affordable and versatile vending bike yet. Are you a mobile cafe? Use Ferla Mini as a coffee cart. Selling your own cold-brew coffee? Convert your Ferla Mini into a kegerator-equipped Nitro Cold Brew Bike. 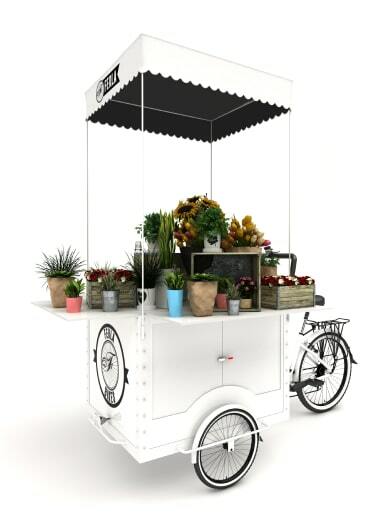 Maybe you are a florist and need a flower delivery bike, or you are an experiential marketing company and you need a merchandise bike for your client. Whatever your vision is, Ferla Mini is there to be a part of it. 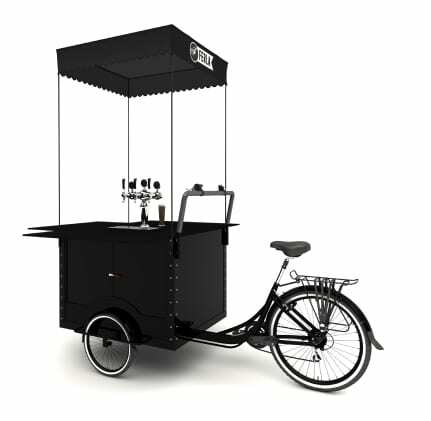 With extensive storage space, increased mobility, and the opportunity to brand your bike, Ferla Mini is the best option yet for those who want to start a mobile restaurant or boutique cart, those who need to distribute product, and those who want to market and promote their existing business on a budget. With a lightweight frame, compact size, and great turn radius, Ferla Mini is the most easily transportable vending bike in the Ferla fleet. As always, we kept your storage and display needs in mind when creating Ferla Mini: three extendable flip-up tables and a discreet cabinet in the vending unit give you plenty of options when it comes to organizing your mobile shop. The best part? Ferla Mini offers you the same flexibility seen in every Ferla Bike. 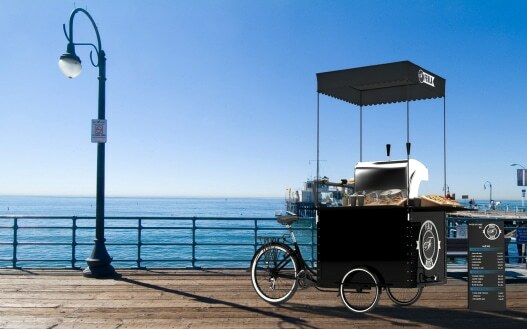 Coffee cart, hot dog cart, taco cart, you name it. You can even set up shop as a mobile jewelry stand or artist-on-the-go. The options are truly endless. Need a fully electric vending bike? Not a problem – upgrade your Ferla Mini with pedal assist for just an additional $700. Pedal assist makes riding your bike up hills and long distances much easier, so that you can take your vending bike from point a to point b – from the corporate campus in the morning, to the beach in the afternoon, then converting into a catering cart by the start of night! We also have several other fully electric vending bikes for sale at Ferla Bikes. Vending Unit Storage Cabinet: The vending unit features a storage cabinet just underneath the counter. Cabinet doors built to curve around the wheel’s shape give easy accessibility. 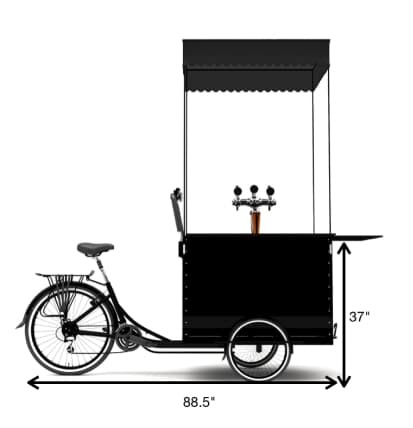 With storage space at you have plenty of space to convert your bike into a kegerator equipped vending cart, or just to store product and merchandise. Flip-Up Table Extensions: Extendable flip-up tables offer extra counter space. These can be used to hold napkins, condiments, and other amenities for your customers. Ferla Mini comes at a great price, but with many other start-up expenses hindering the young entrepreneur, it may still be hard to fund your dream. Not to worry – Ferla Bikes offers two forms of financing, giving you the opportunity to finance any bike that we sell. Ready to be one of the first to own Ferla Mini? 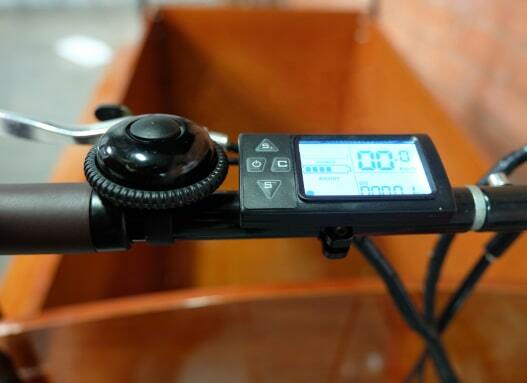 Take the first step in starting your own mobile business by pre-ordering your bike today.